Nationwide scientific and political journal «Vlast’», having been edited since August 1993, is one of the most reputable scientific Russian journals of social-political profile. It takes the 53rd place in the general rating Science Index for 2012 and the first place in the rating of Science Index on the theme of «Politics. Political sciences». The complete texts of the journal are placed on the sites: www.isras.ru; www.4vlasti.ru. Its scientometrical analysis is carried out in the scientific electronic library (www.elibrary.ru) where full-length versions of the journal since 2003 are placed. The journal «Vlast’» has an international standard number for periodicals ISSN 2071-5358. It was established by the Ministry of Press and Information of the Russian Federation in 1993, passed re-registration in 2004, certificate PI № FS77-19000 of the 29th of November 2004, in accordance with the decision of the General Committee of the Higher Attestation Commission (HAC) of the Ministry of Education and Science of the Russian Federation. 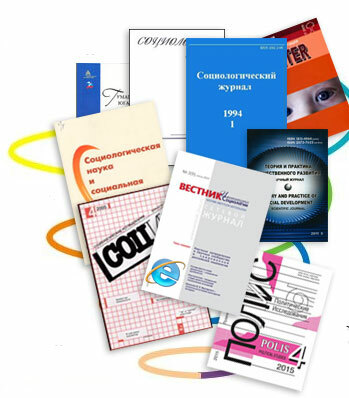 «Vlast’» is included in the list of the leading peer-reviewed journals and editions, issued in the Russian Federation, where must be published the primarily scientific results of doctoral and candidate dissertations on philosophy, sociology, political sciences, culturology, history and law. The journal is monthly published, an average circulation is 2000 issues. The journal goes to press in the format of 70х100. In its editorial policy the journal consistently holds the principle of not being politically prejudiced, objectivity of information and free sharing of ideas, that allows to present on its papers a wide range of views on current and urgent problems of social life in Russia, its place in the modern world order and participation in globalization processes. Altogether, according to the editorial board and editorial council of the journal, civilizationally overall, it can’t help interrelating with sociocultural distinctive character (identity) of Russia, that manifests in specific national, conjoined-sectional, civil and nation-wide interests in values. In terms of the newest geopolitical shift, the problematic of general and particular is constantly in the limelight of the journal police. The editorial board and the council of «Vlast’» includes famous representatives of science, academicians, heads of institutes of the Russian Academy of Science (RAS) , scientific centers, rectors of the Russian universities. The editorial board of the journal is chaired by the director of the Institute of Social Science of the RAS, Academician M.K.Gorshkov. Quality and founding of information, published on pages of the journal «Vlast’», are provided as well by the International expert council, that involves the leading representatives of political and sociological sciences of Bulgaria, Great Britain, Hungary, Germany, Italy, China, Mongolia, Serbia and the USA.